Without Alice Cooper, there might never have been the NY Dolls, KISS, Marilyn Manson, Nine Inch Nails, Motley Crue, Slipknot or Rob Zombie … maybe not even David Bowie, or at least not Ziggy Stardust. The iconic hard rocker, who literally invented the concept of the rock concert as theater, returns to what he does best on Along Came a Spider (SPV Records), the 25th studio album of a long and illustrious career which began in 1969 with the release of Pretties for You on Frank Zappa’s Straight label. From his first solo album, 1975’s Welcome to My Nightmare through releases such as 1994’s The Last Temptation and 2000’s Brutal Planet, concept albums have been a specialty of Alice’s, and this time he spins the story of a serial killer who imagines himself as the most predatory of all insects, trapping his prey, killing them, then enveloping his eight victims in silk, taking a leg from each of them. A web of intrigue, wrapped around some serious hard rock. 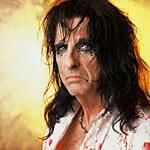 Listen to Nights with Alice Cooper weeknights from 6 to 11pm on Rock 105.3 WRLO. 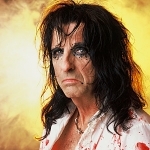 Get a bonus dose of Nights with Alice Cooper every Saturday night from 6 to 11pm on Rock 105.3 WRLO.